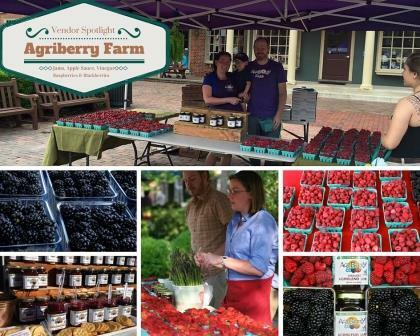 Founded in 2008, Agriberry Farm is owned and operated by Anne and Chuck Geyer. As life-long farmers, the Geyers strive to raise healthy, sustainably grown food such as berries, peaches, nectarines, cherries, applesauce and jams. As business owners, they work to craft lasting relationships that nourish their community, other family-owned specialty farms, and the evolving local food community. As parents, they hope to create a legacy of value for their children, and as educators and community members, they feel a special mission to share their belief in farming as a career and lifestyle.